I love seafood so I was naturally excited to hear about a new seafood restaurant opening in the ever growing Northern Quarter area of Manchester. My excitement was only slightly dampened by the distant memories of the last seafood restaurant I visited in Manchester, ‘Livebait’. The less said about that one the better. I was happy to read several good reviews of Sole before we got around to booking a table. When we arrived I was surprised at how small the place was, there can’t have been more than 15 tables. Apparently there was a bar downstair with it’s own limited menu but I didn’t look. 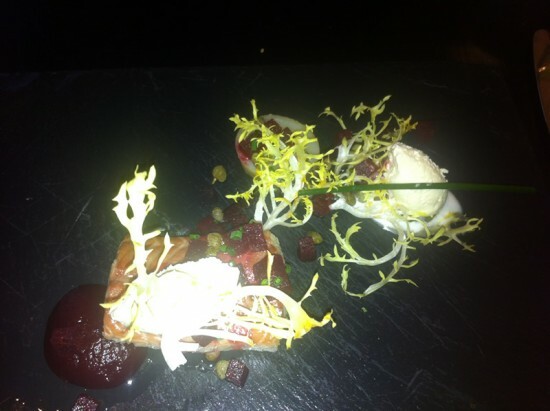 To start I ordered smoked eel with horseradish & beetroot. It came out looking very pretty on a piece of slate. The eel was cooked well and was incredibly smokey which I loved. It was served with cubes of fresh beetroot, a beetroot puree and a horseradish mousse which was the star of the show. All of the elements belonged on the plate (slate). Beetroot & horseradish is already one of my favourite flavour combinations with fish and it was even better with the smokiness of the eel. My partner ordered a crab, passion fruit & radish salad. It was also presented very nicely and she seemed to enjoyed it. I had a taste and it was light & fresh and the crab stood up to the radish with a nice hint of the passion fruit which worked well. There were some nice sounding main courses on the menu but we decided to order from the grazing menu instead as they were less complicated dishes and we were feeling old school. 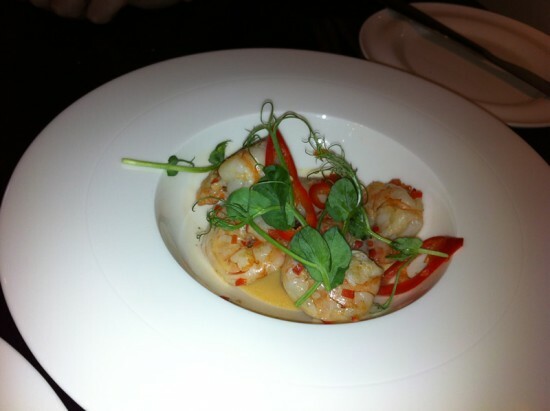 The grazing menu contained shellfish such as razor clams, shrimps and prawns with simple dressings like chilli or tartare sauce. We ordered chilli prawns and Moules Mariniere. They arrived quickly, the prawns were large, juicy and perfectly cooked with a huge kick from the chilli. My only complaint was that there wasn’t enough of them. 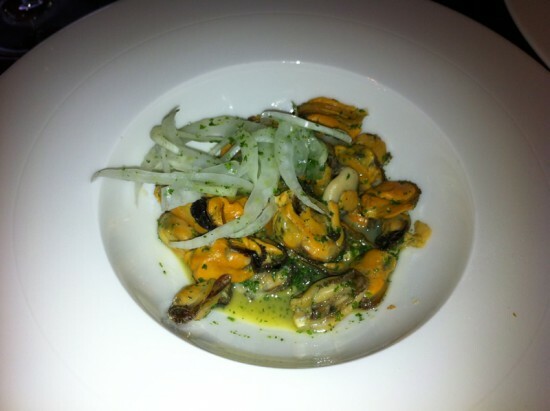 I was shocked that the Moules Mariniere arrived without shells! I must have ordered this dish 20 times and i’ve never received it like this. I’m sure they think that they’re helping or that a bowl full of shells isn’t very elegant but personally it’s part of the fun for me and I was slightly disappointed by it. They were however also perfectly cooked and served in a broth with all of the right flavours: parsley, garlic, white wine & shallots and tasted delicious. Again there just wasn’t enough of them, I know it’s a grazing menu but even so the portion sizes felt very small and it was not reflected in the price. I was incredibly excited when I received the dessert menu and spotted 2 of my favourite things in the world in 1 dessert! 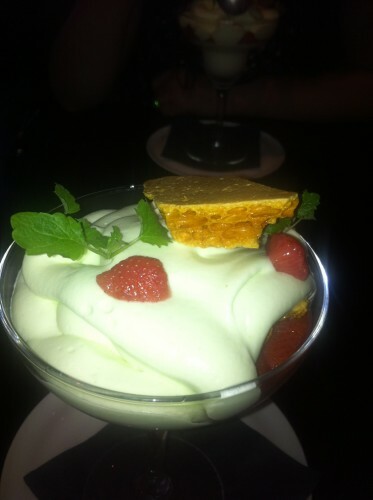 A ‘Mojito Panna Cotta’! It seemed only right that we ordered an actual Mojito to wash it down although this was quite difficult as there seemed to be only 1 waitress working and she has disappeared. Once we finally managed to order we were in for another long wait. They both arrived after what seemed like forever. I think in reality it was only around 20minutes and although I do consider that fairly long for a drink and a (presumably) pre-made dessert but it probably felt a lot longer due to my child like excitement. When it finally arrived it had a lot to live up to but unfortunately it didn’t. It was served in a large Martini glass which looked a bit tired and dated compared to how modern the starters were plated up. The biggest problems were not with the presentation though. Firstly it just didn’t taste like either Mojito or Panna Cotta. It was much more of a light and airy mousse like consistency than a panna cotta which should be creamy and smooth in my opinion. Flavour wise it had hints of lime and mint but they were very delicate and there wasn’t a trace of rum at all. Even the fact that the Mojito Panna Cotta didn’t taste or feel like a Mojito or a Panna Cotta wasn’t the biggest problem. That was the decision to stick a huge piece of honeycomb on top. There were also several strawberries that didn’t really work but the honeycomb simply ruined the dish. I understand why it was there as the dish was so light and airy there was virtually no substance to it, without some form of texture it would simply disappear in your mouth. However, the honeycomb was just so strong it was completely overpowering. It would have been much more sensible to add some sort of biscuit or shortbread instead. The Mojito cocktail was much better than the dessert and was very enjoyable, it almost made up for my massive disappointment in the dessert. Almost. 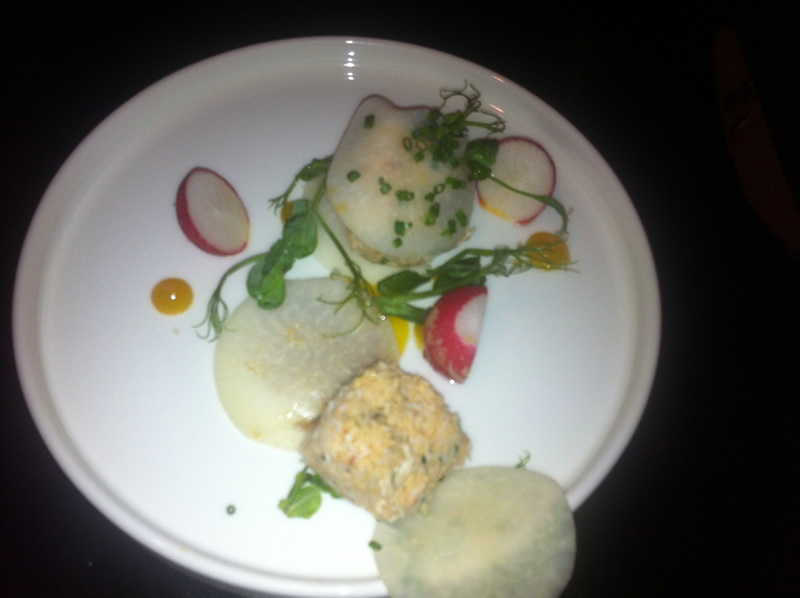 Overall I enjoyed Sole and despite my obvious reservations I would be happy to go back again.